Marketing automation is basically using software to automate repetitive marketing tasks such as sending emails, and completing website actions. The majority of people when they hear the term “marketing automation” they start to freak out as if it’s some secret sauce that only the top-level marketers can do to 10x their business. Marketing automation is simply automating repetitive manual tasks. We use automation tools every day like our iPhone. We set up an alarm on your iPhone to go off at 7 a.m every weekday. We don’t have to manually turn the clock to ring at 7 a.m every day. Here’s another example: If Tom requested for our ebook, we will send him his ebook to his email. Now the question here is how are we going to send him his ebook? Do you login to Gmail, attach the ebook, and send it to his email? What if we got 1,000 people who requested the ebook for that week? Do we hire someone to manually sit there and send the ebook to those 1,000 people? With marketing automation, we just set it up once and let the software do the attach and sending for us. Going deeper. What if Tom didn’t read that ebook? Do we send him another email to prompt him to read that ebook or do we just ignore that and send him the next email? With marketing automation, we can set it and forget it. What are our goals? What do we want our users to do? The most common goals would be to generate leads, convert leads to buyers or if you’re a non-profit get people to donate. 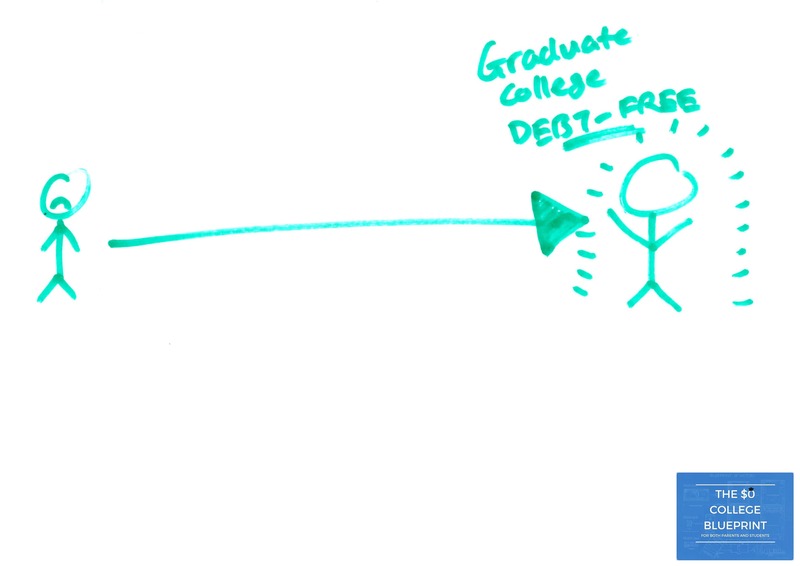 In OwlGuru’s case, it is to get users to buy our online course “The $0 College Blueprint”. The solution we are selling here is to reduce our target audience’s college tuition by 50% which can save them thousands of dollars. The goal: Get users to buy our online course. The second step is identifying our buyer personas. If we don’t know who are our buyers, how are we going to sell our products to them? In OwlGuru’s case, it is high school and college students who are actively looking for a college. Recently, we identified another buyer persona. This buyer persona had a much larger disposable income than our high school and college student persona. Who are they? Parents. For example: For an e-commerce store, a marketing automation campaign might send them an email of their shopping cart if they abandon ship. Another example: For a Saas company, a marketing automation campaign might be to send tutorials to users depending on which feature they click into. It depends. Depends on what? The part of the buyer’s journey they are in. Are they in the Awareness, Consideration, or Decision stage? If they are in the Awareness stage, we don’t want to send them an email series for users in the Decision stage like product demos, or free trials. We want to send them Awareness stage emails like “7 signs you have a sore throat” or “How effective is your marketing automation campaign”. Basically, emails that educate our lead on the problem they are having that our product will help them solve. Let’s say we got 15 emails set up in our marketing automation campaign. 5 for Awareness. 5 for Consideration. 5 for Decision. When are we going to send them the email that would actually make us money / convert leads into buyers? Do we send them a “buy now” email after every 4 emails or maybe even 6? What if we got 100 leads in our database but only 10 of them are opening our emails and the other 90 haven’t opened our emails yet? Do we send the “buy now” email to the other 90 too? That’s the purpose of lead scoring. With lead scoring, we can see which of our leads are most likely to buy and of course if we are going to send a “buy now” email, it will be targeted at leads with a higher score. Another term for this is Marketing Qualified Lead / MQL. What if we send them the “buy now” email but they didn’t buy? What I would do here is send them 3-4 more emails prompting them to buy. Of course, these 3-4 emails won’t be purely a “buy now” email. If they still didn’t buy, send them an email why they didn’t buy. From there, we can know what kind of emails should we send them in our next campaign. To end this post, here are the 5 steps I take when creating my marketing automation campaigns.